2K Games’ Civilization Revolution 2 is a strategy game that, like the original version, is designed by none other than Sid Meier, the man behind the iconic Civilization franchise. It also happens to be the first Civilization title exclusively designed for mobile. It’s available for Android and iOS devices, and your goal is to build a “glorious” empire, controlling any one of several civilizations. You’ve got some new buildings, new technology, new leaders, and new military units, among other additions that weren’t available on the original CivRev. So what’s to do if you’re looking to succeed in this game and build the ultimate civilization? 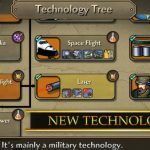 Read on for these tips and tricks – this is the first part in our two-part Civilization Revolution 2 cheats and strategy guide. Civilization Revolution 2 seems to be skewed in favor of nations that have a powerful army. This means that other nations may want to declare war, even if there’s no real reason to do so. One way you can keep these nations in check is to raise a standing army, meaning you’ve got a powerful army but don’t actually use them to attack other nations. This could postpone the threat of war, and prevent opposing civilizations from sending their armies off to attack yours. 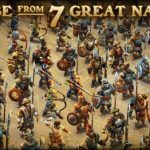 As a bonus tip, you may want to protect your nation by having more advanced units than other civilizations in certain aspects. One good example would be having a lot of special air units, in order for land-only nations to avoid attacking you. Of course, you will encounter situations where you’ll have no choice but to fight – if that’s the case, you shouldn’t be too aggressive in attacking, and you should always make sure you’ve got scouting skills, so you know how the opposition looks like. Scout your enemy, and only attack if you know you’ve got an advantage. And when you do attack, soften up the enemy’s defenses by using catapults and other siege weapons. The number one wonder you’ll want to set your sights on is Atlantis – it’s conveniently hidden in CivRev 2, and is naturally harder to find than the other wonders available in this game. If you’re able to discover Atlantis, you’ll benefit from a wealth of completed technology without having to pay a single cent. But how do you discover this lost continent? It’s simple enough – use a Galleon or any other open-water seafaring craft. And you can find it faster by rushing your naval tech. Find Atlantis and you’ll have a distinct advantage over land-only civilizations. There is really no specific area to research on first when it comes to the technology tree; you can start anywhere, and just take it from there. But once you’re done with about three technological advancements, that’s when you’ll want to be specific and set your priorities. Isolate about one or two areas to focus on, check the prerequisites for the projects you’ll be working on, and the requirements so you can meet those to begin with. Now, that you’ve completed the first part of our guide, head over to the second part of our Civilization Revolution 2 tips and tricks, that will give you some more hints that you can utilize in the game. 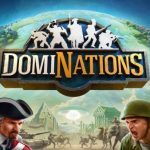 DomiNations Tips & Tricks: Which Nation Should You Choose?